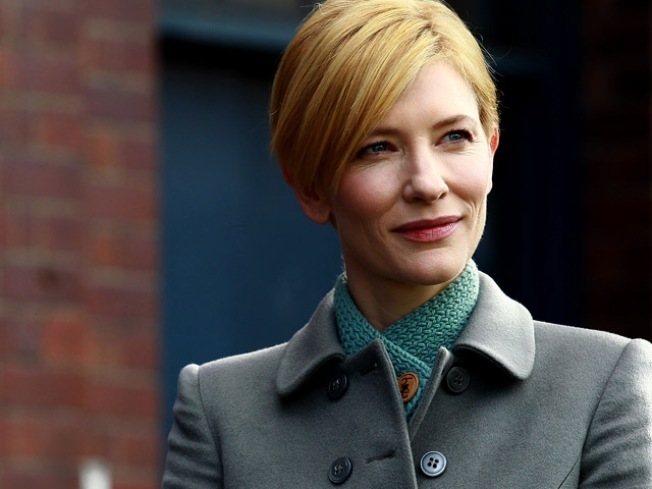 Casting Call: Cate Blanchett Headed to "The Hobbit"
Cate Blanchett has signed up for "The Hobbit"
Cate Blanchett is heading back to Middle Earth. The Oscar winner will reprise her role of Galadriel, the Lady of Lothlorien, in Peter Jackson's "The Hobbit," according to The Hollywood Reporter. VIEW THE PHOTOS: Access' Top 10 Movies We Can't Wait For In 2011! "Cate is one of my favorite actors to work with," Jackson told the trade of Blanchett, who previously played the role in "The Lord of the Rings" trilogy. "And I couldn't be more thrilled to have her reprise the role she so beautifully brought to life in the earlier film." Also joining the cast are Ken Stott (as Dwarf Lord Balin), Sylvester McCoy (Radagast the Brown) and Mikael Persbrandt (Beorn). The new additions join the previously announced Martin Freeman – who will play Bilbo Baggins, as well as Richard Armitage, Aidan Turner, Graham McTavish, John Callen, Stephen Hunter, Mark Hadlow and Peter Hambleton. Production on "The Hobbit" – which will be split into two films – is slated to begin in February 2011, with release dates of December 2012 and December 2013, for Parts 1 and 2 respectively, targeted.